Phalaris 'Feesey', is a distinctive white-striped grass suffused with a pale pink colouration at the bases of the stems most noticeably during the cooler periods of early spring and autumn. 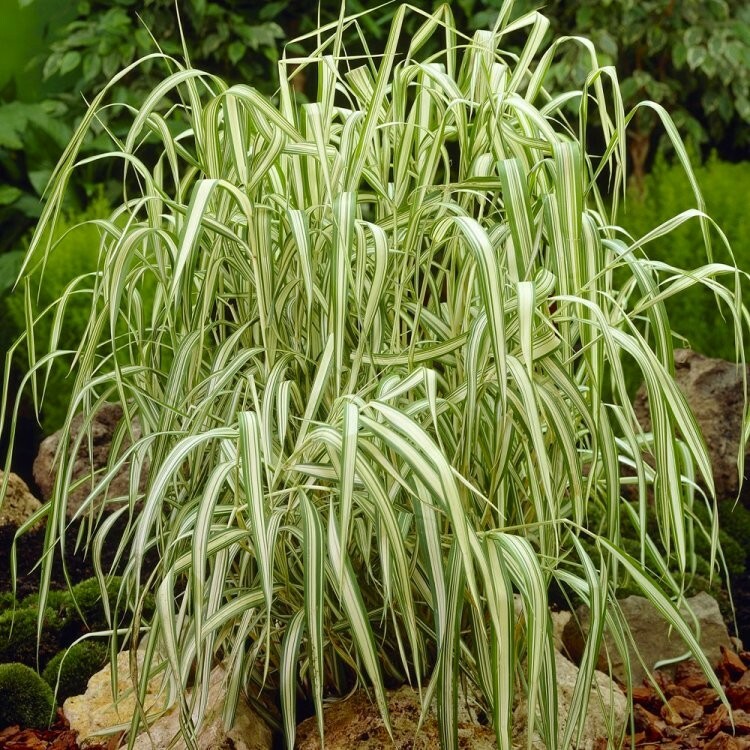 'Feesey' is a handsome bamboo-like grass, with pale arching leaf-blades, growing to around 60cm tall, it forms a highly ornamental tall-growing gound cover, its dramatic foliage forming a solid architectural block of shimmering white. Like all grasses it spreads by rhizomatous growth and is best planted in a larger space where it has room to develop as a mass planting or in a large tub or container. It prefers a damper situation and a boggy spot or the margin of a pond is ideal if space allows. It also tolerates drier conditions well. Supplied in approx 1 litre containers.